Michael is a solicitor in the Commercial Litigation & Dispute Resolution team at Hayes Solicitors. 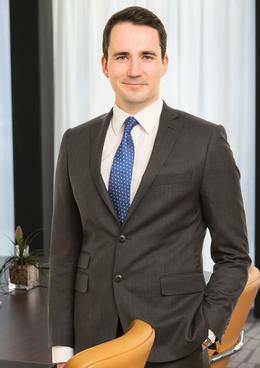 He has experience advising commercial clients with respect to a wide variety of issues and has particular interest in Alternative Dispute Resolution. He has concluded a number of high value disputes by way of mediation and gained a wealth of experience acting as panel solicitor in relation to the defence of solicitor’s professional negligence claims. In addition to his experience in litigation and dispute resolution Michael advises commercial clients on a broad range of topics and prides himself on his ability to present complex legal issues in a practical useable manner and to identify pragmatic solutions in response to client queries. Acting for commercial clients in the High Court, Commercial Court and Court of Appeal – providing pragmatic advice and solutions to complex legal issues. Advising commercial clients in relation to Intellectual Property Law. Acting for financial institutions and receivers with respect to enforcement and recovery matters. Advising clients on complex regulatory legislation in the context of investigations and prosecutions by the Central Bank and the Data Protection Commissioner. Advising the State Claims Agency with respect to the defence of personal injury claims. Professional Negligence – acting for solicitors on the instruction of professional indemnity insurers. Advising clients across multiple sectors with regard to their obligations arising from Data Protection Law and Consumer Protection Law. Extensive Discovery Applications – The end of an era?